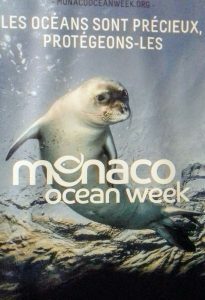 The last 13th of April eco-union presented the project “Zero Beach” at the Monaco Ocean week. This project aims to create a waste and marine litter prevention protocol as a waste management framework for beaches. An educational scheme for beach users. The event was organized by BeMed and The Prince Albert II of Monaco Foundation. During the event, the The Prince Albert II of Monaco Foundation reaffirmed its commitment to a better understanding of the threats to the environment, and in particular to the oceans. Monaco Ocean Week aimed to deepen reflection on the conservation of the marine environment, which is decisive for climate change mitigation and adaptation. It was held from the 8th to 14th of April 2018 throughout the Principality.